Man With A Truck work directly with Melbourne’s Number 1 Residential and Commercial End of Lease Cleaners. Cleaning left to the last minute? Don’t worry! They can offer a same day service that will keep even the fussiest landlord happy with a 100% Bond Refund Guarantee. There are many options for your end of lease clean, from a single room, just the entry and exit ways, or your entire place. Regardless of what you need cleaned, They will make sure everything is taken care of properly, thoroughly and in a timely manner. Make Good, End of Lease Office Clean. 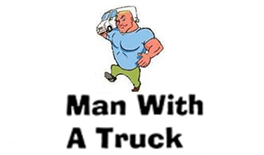 Man With A Truck Professional End of Lease Cleaners? If you want your bond back, hiring a professional with a bond back guarantee is your best chance. Not to mention working with someone who has done this hundreds of times over, has worked with management companies and landlords to find out exactly what they want to see or not see is invaluable. Instead of spending your move stressing about the place you’re leaving (and the stain that won’t seem to come out of the carpet), let the professionals take care of it for you and free up your time to focus on your future home! 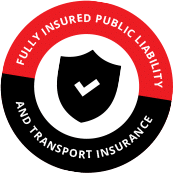 As well as being fully insured, they can boast one of the longest 100% bond back, unconditional guarantees in the industry. Unlike other cleaning companies who only offer a 24hr guarantee, they will return to the property even if a week or two has passed and your landlord requires further cleaning to be done, before they will release the bond. If you have left the cleaning to the last minute, don’t forget! we are open seven days a week and can even offer same day cleaning in Melbourne and Victoria. Don’t underestimate the amount of time and effort it takes to truly clean every inch of your property . Call a professional, pocket that bond and get on with your move.